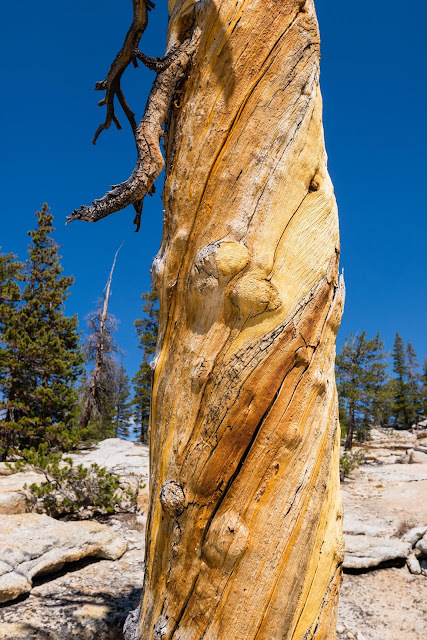 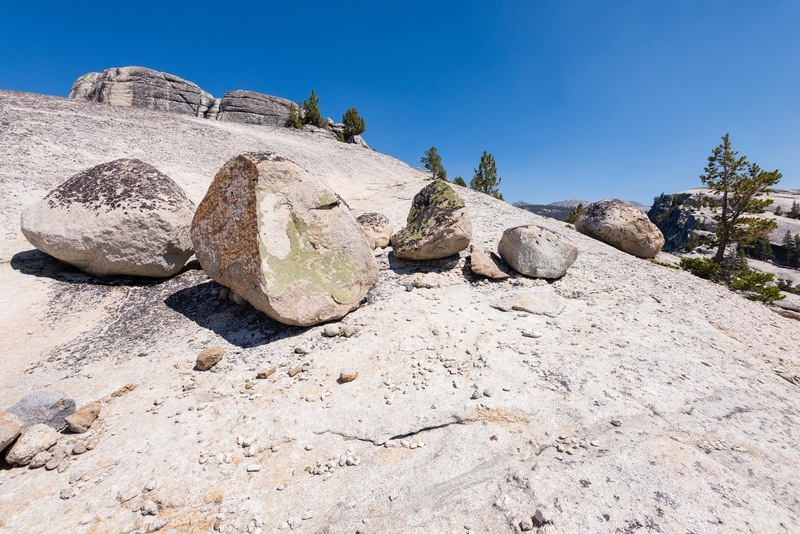 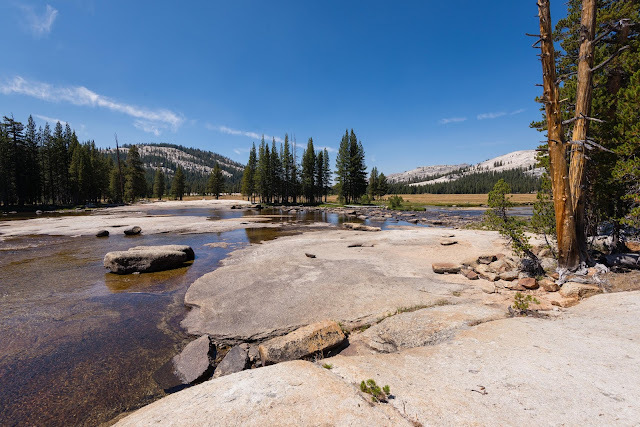 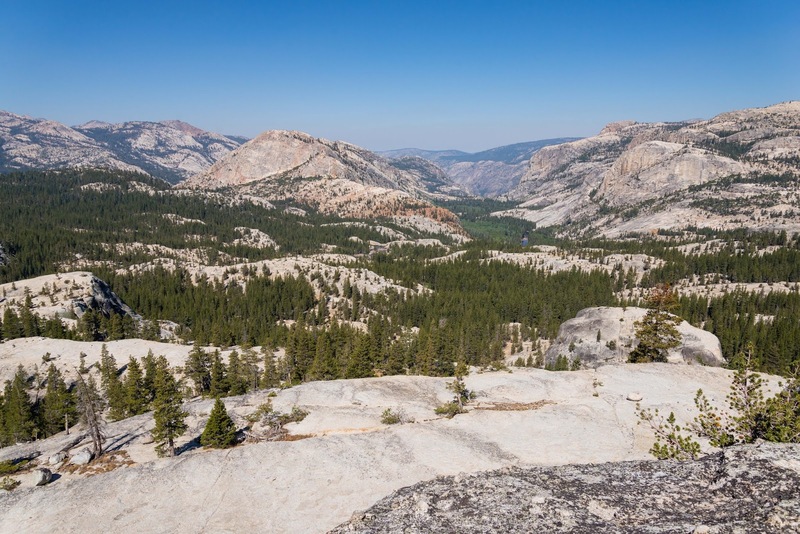 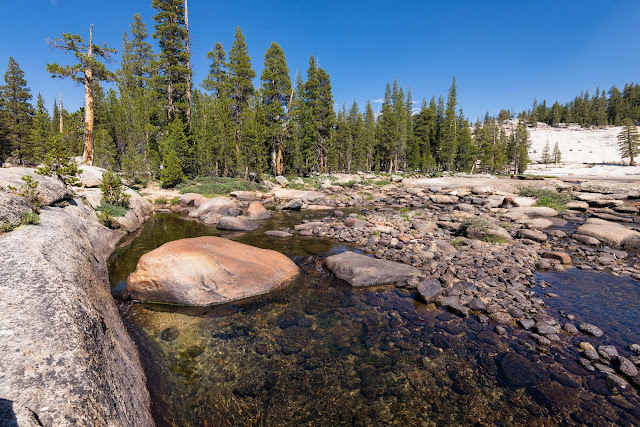 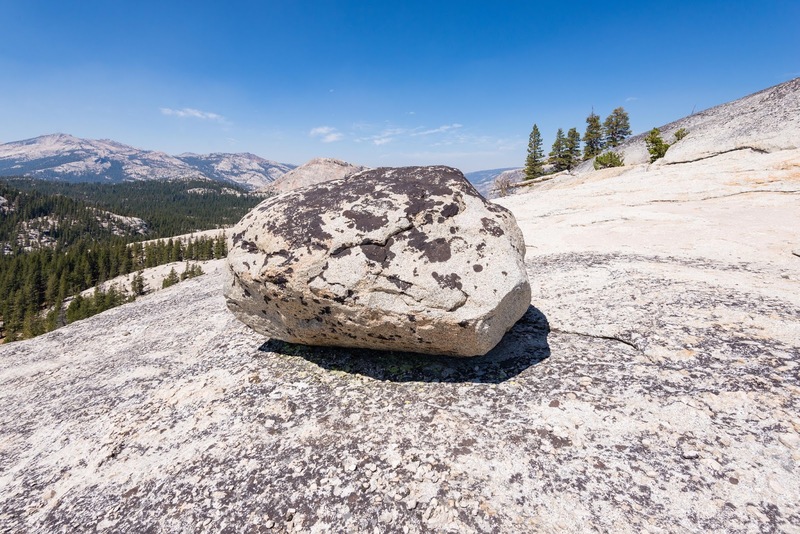 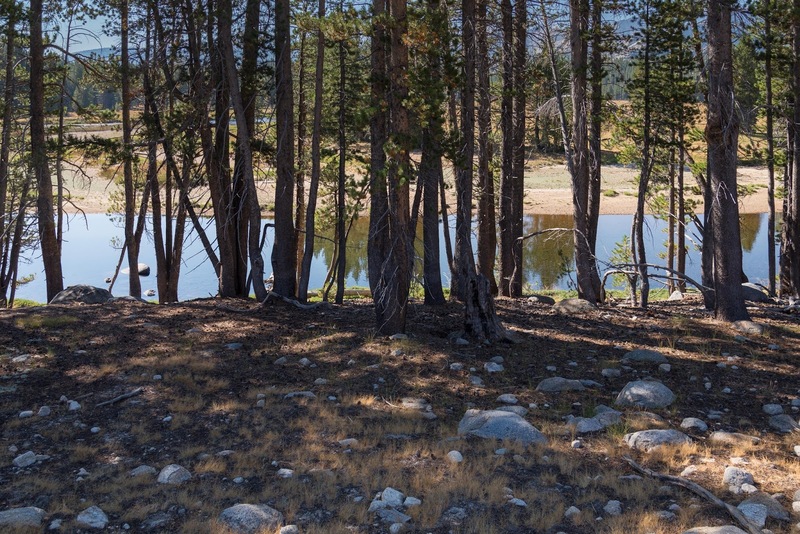 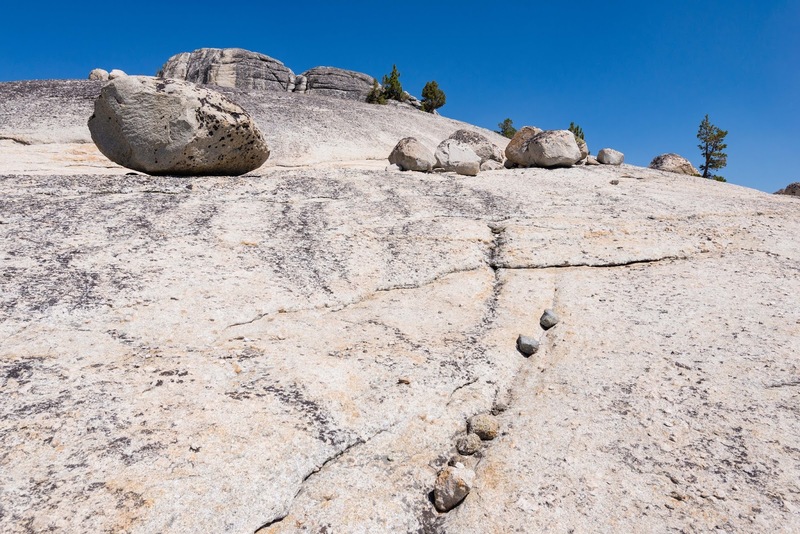 In August 2016, I hiked solo round trip from Tuolumne Meadows to what John Muir called Dome Dam, a tough granite wall that resisted the carving of the multiple glaciers that passed down this canyon over the last million years. 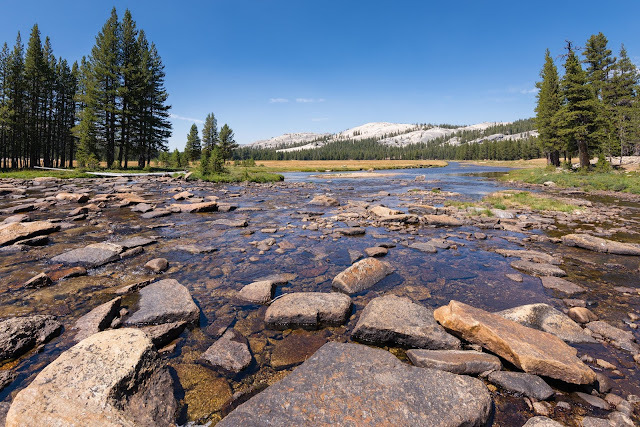 Just beyond this granite dam, the Tuolumne River falls rapidly, and literally, in multiple cascades, Tuolumne Falls, and White Cascade-- on its way to the next flat of Glen Aulin. I wanted to climb two of the domes that form this "Dome Dam". 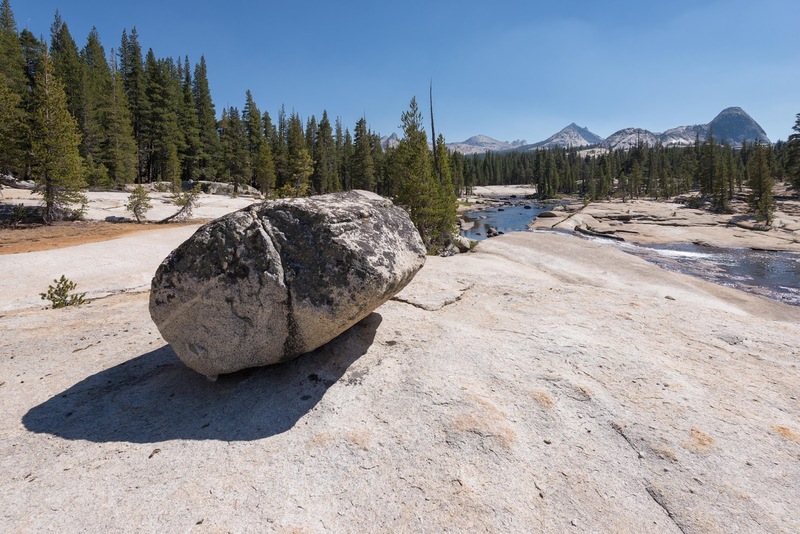 The first is 500-foot-high "Dingley Dome" and the second (about 800 foot high) that I call River Dome II. 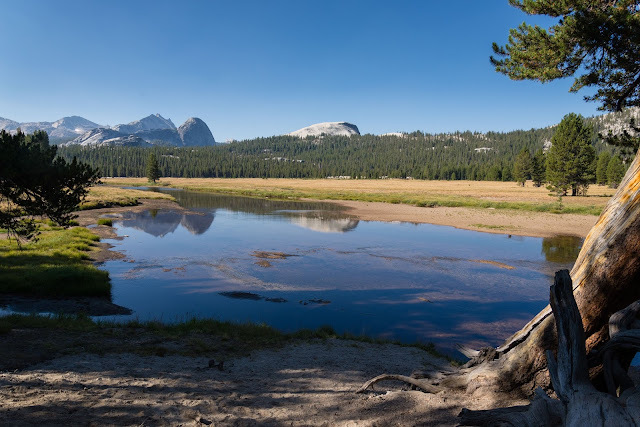 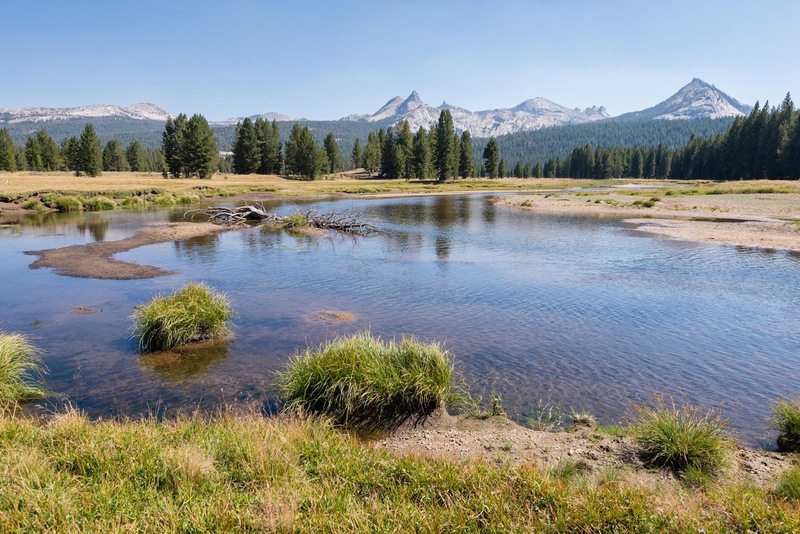 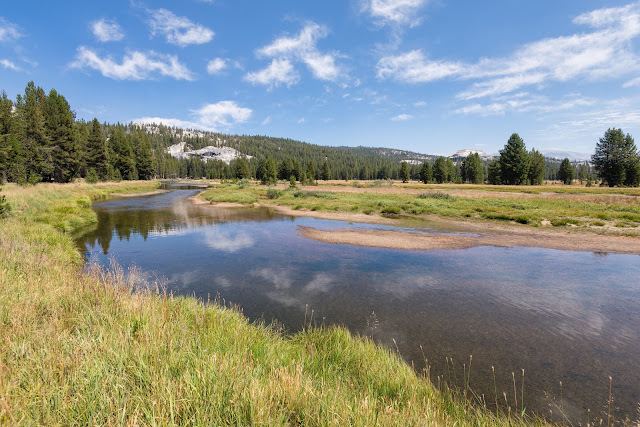 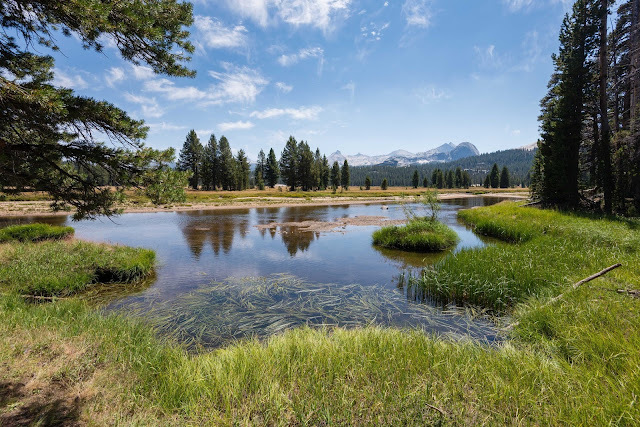 The first offers a fine view of the Cathedral Range peaks and the second a fine view down the Grand Canyon of the Tuolumne. 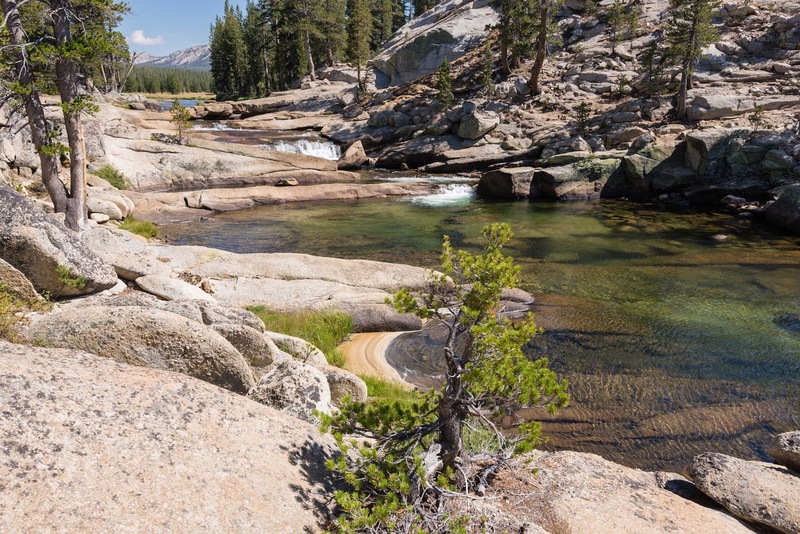 I made both climbs and wended my way back off trail by following the winding and singing Tuolumne River back to camp. 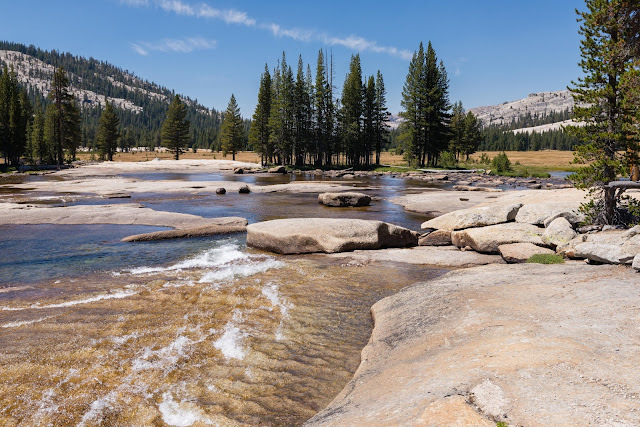 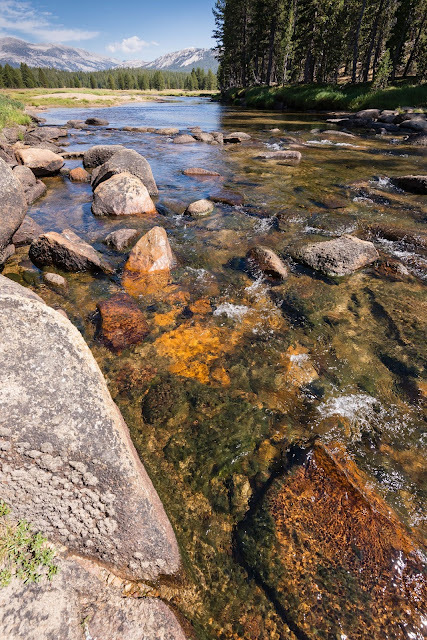 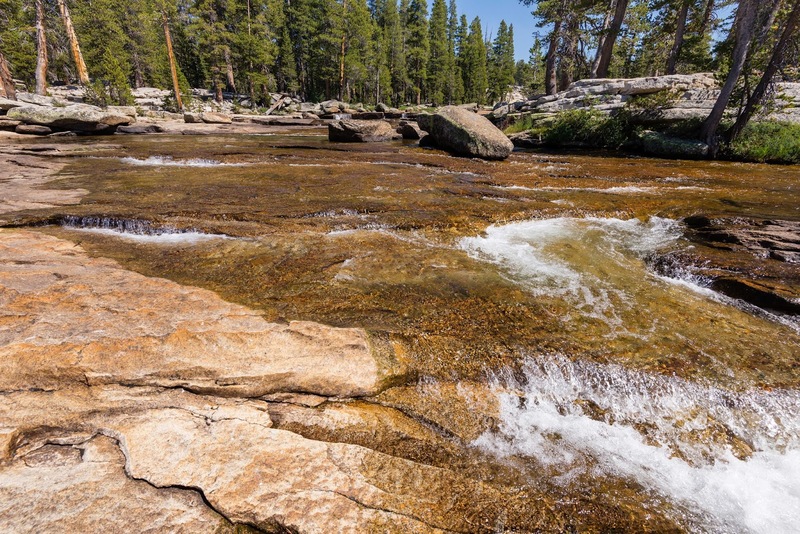 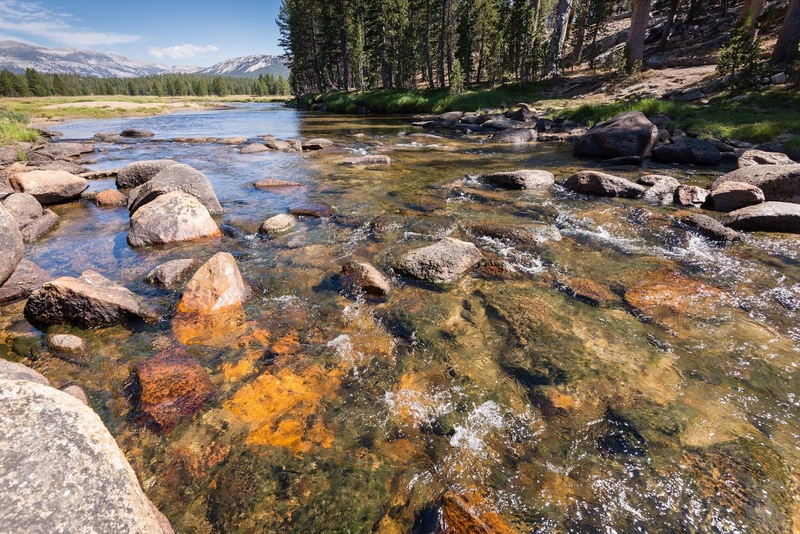 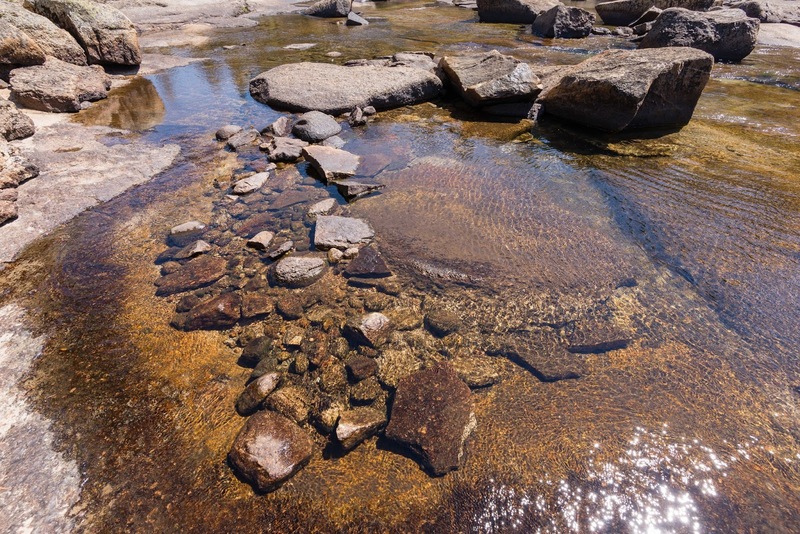 The late-season Tuolumne was low but beautiful. 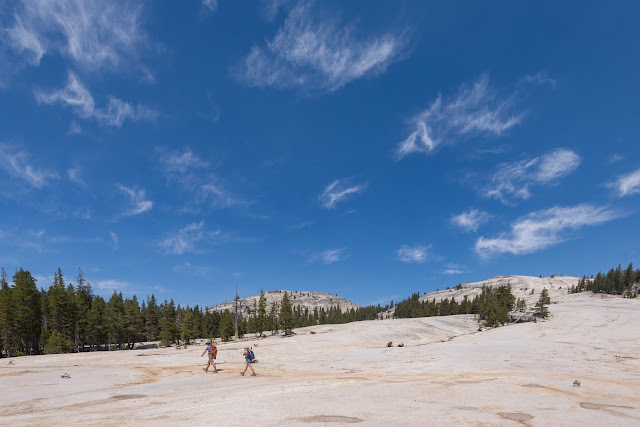 Enjoy these photographs of my day's adventure!